Kosovo Manufacturing Club (KMC) was established in November 2015 and is a non-governmental organization. The club’s executive director is Astrit Panxha, who is also part of the club’s founding team. Club members are among the largest produrcers in Kosovo with the ownership of 30 factories, with more than 100 brends and 15,000 directly and indirectly employed. The main goals of Club are to develop forums and meeting that promote discussion and cooperation between members and state institutions for the development of production sector, organize activities in cooperation with state and private institutions in order to strengthen and promote Made in Kosova products, to raise awareness among citizens about the positive role that consumption of local products plays in the economic development of the country. Advocacy, through which the Club aims to influence relevant institutions to advance and to improve policies towards local producers. Cooperation with all the relevant stakeholders with the aim of developing a cooperative spirit with all stakeholders for issues related to local producers. Promotion of Made in Kosova products, inside and outside the country. Awareness and consumer protection through various activities that increase the overall knowledge among consumers about the importance of consuming local products while developing consumer protection mechanisms at the same time. To raise citizen awareness on the quality of local products. For any information or request please do not hesitate to contact us. To finalize the act of establishment in accordance with Law no. 04/L-57 on Freedom of Association in Non-Governmental Organization in the Republic of Kosovo, they establish the Kosovo Manufacturing Club (KMC). The Executive Council is the intermediate leading body and acts every time in accordance with the purpose of the organization. Implementation of the strategy, realization of the activities and goals of the Club is done by the Executive Council. 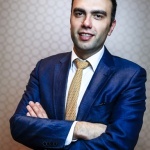 Astrit Panxha is Executive Director and one of the founders of Kosovo Manufacturing Club (KMC). 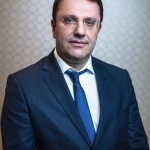 Prior to establishing KMC he worked as a senior economist in Financial Stability and Economic Analysis Department of the Central Bank of Republic of Kosovo. Astrit joined the FSEA Department in 2009 as a research economist (until 2013). There he worked on assessing the performance and risks of financial sector in general, and banking sector in particular. He was responsible for stress testing and bank lending survey of the banking sector. Also, he was actively involved in the design and implementation of the stress test, banking forecast and macroeconomic model. 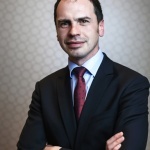 In 2012, Astrit worked in German Federal Ministry of Finance in Berlin, where he was part of the team that was involved in developing policies and supervising fund that was responsible for bank rescuing. 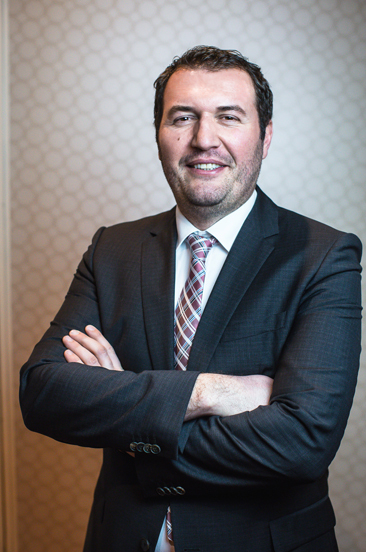 Prior to joining the Central Bank, Astrit worked for a short period in the ProCredit Bank (Kosovo) as a risk analyst, he was responsible for analyzing banks credit, liquidity, interest rate and solvency risk. Prior to joining ProCredit Bank, he was a financial analyst at private equity firm Gondola Holdings in London, UK. There he was responsible for preparing reports on performance and forecasting of different units of company. While in London, Astrit was actively participating in volunteering work. He was member of the board of charity organization ‘Shpresa Programme’ and he was one of the founders of Albanian Student Association in UK. In 2010 he was awarded Letter of Excellence for his exceptional performance on Applied Economic Policy Training in Joint Vienna Institute. He also attended professional courses in Federal Bank of New York, European Central Bank, Austrian Central Bank, IMF institute, World Bank etc. Astrit has been teaching at Riinvest University since 2009 on subjects such as Financial Management, Corporate Finance and Microeconomics. Over his career he has published academic papers, and his personal research has focused on the banks effects on the real economy and the risk management in the banking sector, and the capital structure. Astrit holds a MSc in Corporate Finance from Lund University and BA in Economics from London Metropolitan University. Vllaznim Osmani is General Secretary of Kosovo Manufacturing Club (KMC), and he has been part of the team on establishment of the KMC. He has worked in London for 13 years in the field of Economic Development, Regeneration and Planning. He received his Bachelor of Science in Housing Studies at Middlesex University, London and CIPS Level 2-Certificate of Purchasing & Supply from the Charted Institute of Purchasing & Supply (CIPS) of the London Metropolitan University. Vllaznim has detailed category knowledge of economic development and planning in the built environment with extensive experience of residential and commercial development. Prior to joining KMC he has worked for UN-Habitat Kosovo, assisting Central and Local Institutions in the field of Local Economic Development and Spatial Planning. 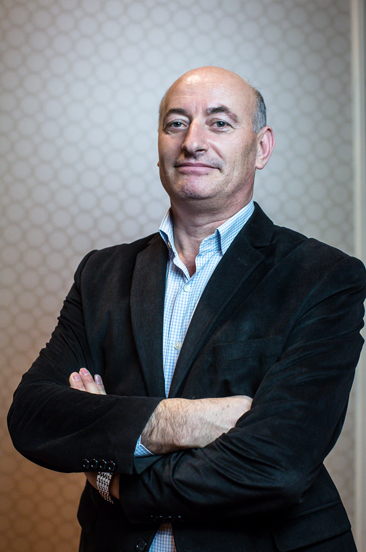 Dren Ajeti is a Legal Officer for Commercial Affairs at the Kosovo Manufacturing Club. Prior to joining KMC, he worked as a research fellow at the Group for Legal and Political Studies. His research focuses mainly on public law, support to the parliamentary committees in draft-law making process, and rule of law issues. In 2014, he worked as an intern for the Social Democratic parliamentary group at the German Bundestag. He has an LLM in German and Competition Law from the University of Tübingen, Germany. Tanita Zhubi finished her Master degree in International Studies, at Aarhus University in Denmark. Before joining Kosovo Manufacturing Club, Tanita has worked for several non-governmental organizations in Kosovo. She has six years of experience in communication and advocacy including skills in research and project management, with a background in international relations. Tanita holds the position of Communication Officer at the Kosovo Manufacturing Club. Flamur holds the position of the Analyst for Economic Policies at the Kosovo Manufacturing Club. He is responsible for conducting economic researches and analysis. 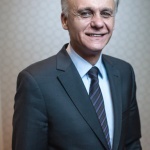 Currently Flamur, is also Energy Sector Assessment Specialist at USAID/EMPOWER. 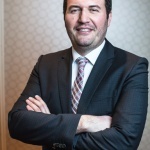 In the past he worked as a Research Associate at Crimson Opportunity Development, where he was part of the building of motor oil and glass supply chains and co-author in a research related to the energy situation in certain areas of Kosovo. Flamur has completed his Master’s studies in Economics at Université Paris 1 Panthéon-Sorbonne. Now he continues his M2 studies in Sorbonne with focus on Sustainable Development. Ylberina Hysaj – Arifi holds the position of Office Coordinator at Kosovo Manufacturing Club. Ylberina has finished master studies at the University of Sheffield in Thessaloniki, in General Management. She also wrote different researchers papers and in 2015 has won the second price for Young Economist held by the Central Bank of Republic of Kosovo for working paper: “The impact of High performance working systems in developing countries: case of financial institutions”. Ylberina enjoys working in Kosovo Manufacturing Club to contribute in development and promotion of local business with great influence on economic growth of Kosovo. The President of the Club is elected from the representative members of the Club. The President of the Club represents and presents the Club during meetings with representatives of institutions, organizations and foreign delegations. The President of the Club has a one year mandate, after the end of the first term of office, the president may be re-elected only after the beginning of the new alphabetical order. Upon termination of the President’s mandate, the same is appointed as Vice-President of the Club. The second vice-president shall be appointed a quorum member for the post of chairman according to the alphabetical order, as foreseen by the club’s statute. 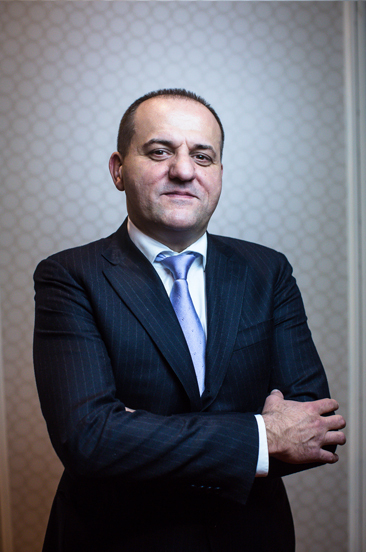 Blerim Devolli was born in Peja to a traditional family of renowned merchants and is a prominent businessman and philanthropist in Kosovo. Over the last decades he has build one of the strongest and well-known companies in the country, that helped the economic recovery after the war in Kosovo. The operations of Devolli Group, founded by Mr.Devolli are mainly focused on two core businesses: manufacturing and services. Furthermore, Devolli Group is one of the leading companies for production and distribution of high-quality products with a wide range of brands in Kosovo. Strong brands, outstanding customer & supply chain service, makes Devolli Group a leader in the market. Today, the company employs more than 1,000 people, across Kosovo. Astrit Shabani was born in 1968 in Podujeva. 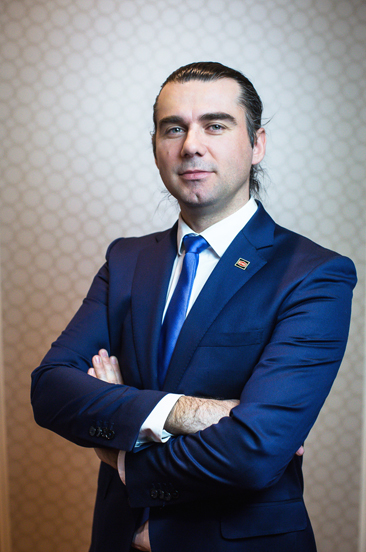 He is co-owner of the plastic production company “PLASTIKA”. The company “PLASTIKA” was founded in 1996, where its activity initially started in Bulgaria with the trade of plastic foil and plastics in general. But after 1999, the company was transferred to Kosovo by investing in the latest plastics production and recycling technology machinery. Even today, he continues the vision of expanding production capacity and investing in machinery and manufacturing. Mr.Shabani has inherited the tradition of trade from his family, more precisely from his grandfather, and today he continues to expand his family activity by investing in machinery and expanding production capacity of his company. In August 2015, Mr. Shabani together with the largest manufacturing companies in Kosovo established the Kosovo Manufacturing Club (KPC). Where in 2017, he was elected by the Board Members of KMC as Chairman of the Club. Fejzulla Mustafa was born on 16.11.1956 in the village Zhunice, the municipality of Presheva. He finished primary and secondary school in Presheve, then enrolled in the Faculty of Engineering at the University of Prishtina- “Hasan Prishtina”, in 1976 in the Department of Machinery and graduated in this faculty successfully in 1982 as a Graduated Engineer of Machinery. Immediately after graduation, Mr. Mustafa was employed as a professor of Engineering at the Technical High School in Presheve in 1982, where he worked as a professor for 8 years. 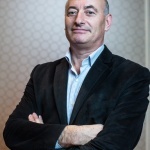 Since 1990 he began to work with an extraordinary commitment in the field of business, namely in the food industry, whereby in 1994 he started the foundation of the FLUIDI Company. In the absence of local products, the company initially started to operate in Presheve with refreshing non-alcoholic beverages, continuing the production in Gjilan, where they received the international license from ROYAL CROWN COLA for the production of RC brands, and then the production of 150 varieties of other products. Recently, Fluidi continued the success with the opening of the oil refinery as the only advanced technology in the Balkans, with the unique FLOIL product. Mustafa remains and is committed to bringing new brands and tastes that are manifested by the opening up of new jobs and the continuous growth of the Company. 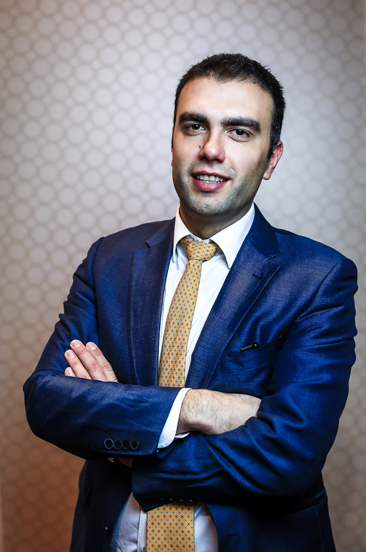 Bashkim Osmani, born in Podujevë, in a family of traditions in trade, he is an entrepreneur and the owner of Laberion Company. This company was founded in 1996 in the Podujevo municipality. he graduated in Economics at the University of Prishtina. As the owner of the company- Laberion, which makes the production of non-alcoholic beverages, he has managed to create a wide distribution network of its products throughout the territory of Kosovo with over 1,650 sales points and has employed 132 employees. The products of Laberion company are valued by the quality of products, which are produced with the latest technology, qualified personnel who meets all the market requirements.Under the management of Mr.Osmani the company has implemented the international standards and now exports in the countries at the region and in Europe, Middle East, as well as in South Africa. Thus, Announced by Ministry of Trade and Industry as the best exporter of the year 2011 in the European market. Mërgim Prishtina was born in 1980 in Prishtina. He completed his studies for Entrepreneurship at the American University in Bulgaria in 2003. Whereas he completed his master’s studies at the Vienna University for Technology – Oakland University in the Business and Administration Program in 2007. 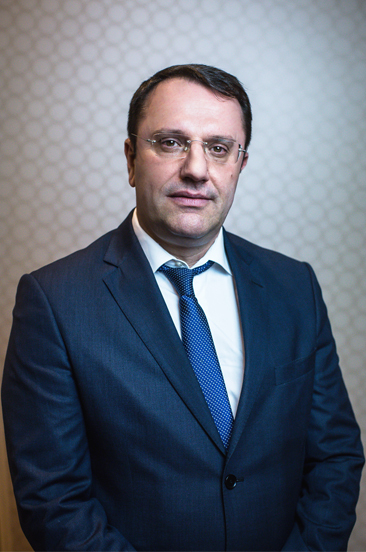 Since 2000, Mr. Prishtina has been part of the management of the company Tregtia, a company that has a long tradition and experience in the construction industry. 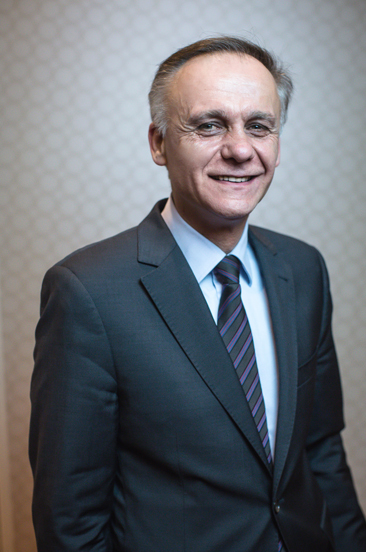 While as from 2010, he is the founder and the executive director of the pharmaceutical company- Trepharm, in Kosovo. 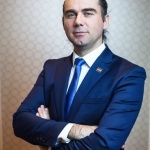 Mërgim Prishtina is one of the founders of the Kosovo Manufacturing Club and besides engaging in economic activities that support the economic development of the country, he is also president of the Rotarian Club in Pristina. This club has been created to provide philanthropic services for Kosovo’s society, and establish and develop humanitarian projects in the country. The Supervisory Council is selected by the members of the Assembly to control the implementation of the Club’s goals and the progress of the activities foreseen in the statute and in the strategic plan, at the same time the Council is responsible for overseeing the work of officials and employees and for controlling the Club’s financial reports. 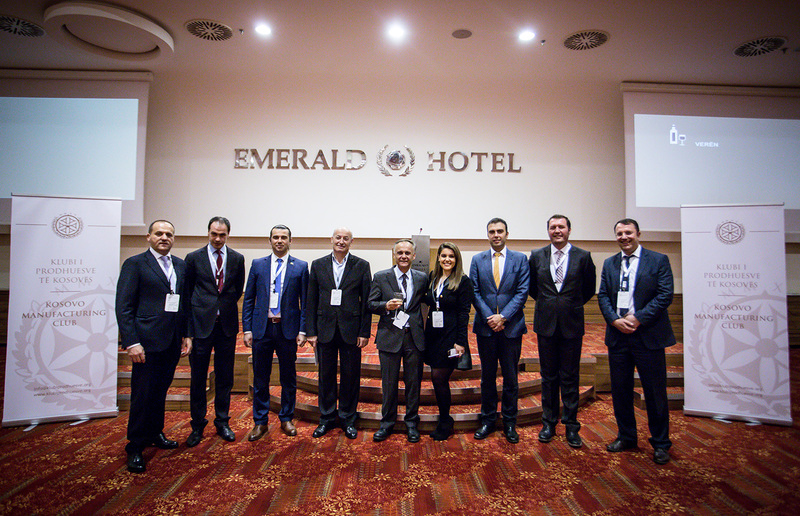 Honorable Members are distinguished figures who with their many years of work experience have positively impacted the economic development of the Republic of Kosovo and have managed to create a good reputation in the community. Their role will be advisory. 2019 © KPK - All rights reserved.